Santa Fe with a population of 67,947 is the capital of the State of New Mexico. It is the fourth-biggest city in the New Mexico. It was founded by Spanish colonists in 1610 and is the oldest State capital in America. Santa Fe is located at the southern end of the Rocky Mountains in the northern Rio Grande Valley. It has a neighboring pine forest. Santa Fe is an ideal city for transitioning to solar power because it has plenty of sunny days. The average annual temperature is 49.4 F. It has a dry desert-like climate with strong sunlight. On average, the city experiences about 283 sunny days per year. Santa Fe receives an average of only 14 inches of rain annually. The geographical profile and climate of Santa Fe make it an ideal region for the generation of solar energy all around the year. In the past, investing in solar energy was considered a hefty-priced venture but in the last few years, the price of solar panels has dropped drastically. The International Energy Agency has as gone as far as saying that solar power could be the number one source of electricity on earth by 2050. 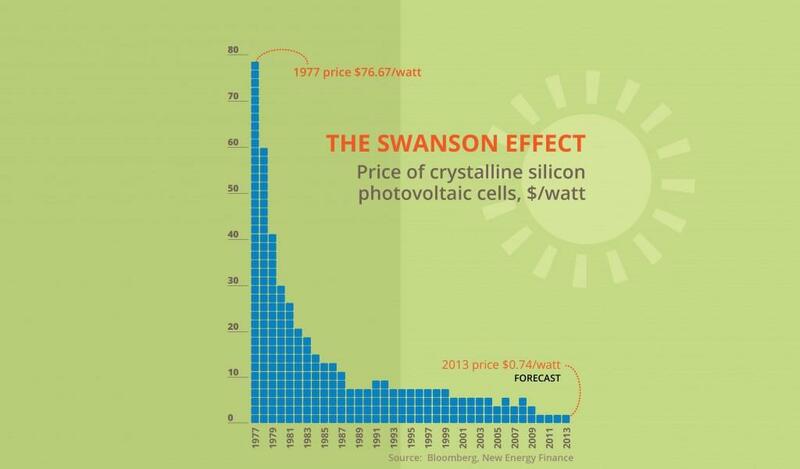 A steady downward drop has been observed in the expense of solar power along a trend that is sometimes referred to as “Swanson’s Law”, after Richard Swanson, the founder of the US Company SunPower. According to Mr. Swanson, it is a standard learning curve familiar to other businesses: every time the total volume of solar panels that has been produced doubles, their cost drops by 20 percent. Solar energy is also environment-friendly. If we continue to use traditional resources it will lead to further degradation of our climate. All of the steps involved in the extraction of oil and coal to the distribution of these fossil fuels contaminate clean water sources and destroy the environment for the life forms present. This has distressing effects on the quality of life of animals and humans alike. It is no secret that solar power is deemed as the most promising substitute for coal and fossil fuels. Not only is it a renewable energy source and abundant, in the past few years, it has overcome many barriers that have been a roadblock in its large-scale commercial adoption. The first key barrier is efficiency, which has been improved by equipping solar panels with specialized coating and nanomaterials. But just as vital has been the obstacle connected with costs. Solar power technology is speedily improving in contrast to fossil fuel energy sources that have only slightly changed in the last few years. This rapid progress in solar power technology has resulted in a large amount of money saved at an exponential rate in comparison to the prices in 1977. But this is not all. Recently, a report published by the German-based think tank Agora Energiewende states that the decreasing cost of solar power will make it the cheapest source of power within a decade. Therefore, solar energy is becoming increasingly cost-effective with passing time. If you are a resident of Santa Fe, purchasing a solar power system may cost you up to 15 to 20 grand. This may seem a shocker at first but hear us out as to why this isn’t such a bad deal. In Santa Fe, New Mexico you can pay for your solar power system outright with cash but there are other payment modes you can mull over as well. You can lease your panels or get a loan. The best thing about purchasing a solar power system is that you are not pouring your money down the drain. As a homeowner, it is a major investment. Being a resident of Santa Fe, if you decide to sell your house with a 5 kWh solar power system installed, you can claim the $20,000 on the house’s equity without having to spend any money on extra property tax in accordance with the Renewable Energy Systems Property Tax Exemption rules. What’s more, if you are planning to install a solar panel before 2020, the Federal Government will give you a tax credit of 30%. This credit amount will progressively decrease over subsequent years. The price of a home solar system in Santa Fe on average would cost you $20,000, but summing in state and Federal tax breaks and the value of the electricity you produce, the overall expense will come down to $10,000 in the initial year. Over a span of ten years, the price of the system will be compensated for in the form of roughly fifteen years of free electricity. Any surplus electricity you generate, you can sell. Plus, as a homeowner the value of your house will rise substantially. As a citizen of Santa Fe, you have the option of leasing a solar panel system, which makes it much easier to purchase regardless of your individual financial situation. You won’t have to pay right away anything from your pocket but you’ll have to pay a monthly fee for the lease. The amount of money required for the fee is usually lower than your regular electricity bill so you save money. While considering getting a lease for a solar power system you should keep in mind that you won’t personally be able to reap the benefits of redeemed tax credits or exemptions. 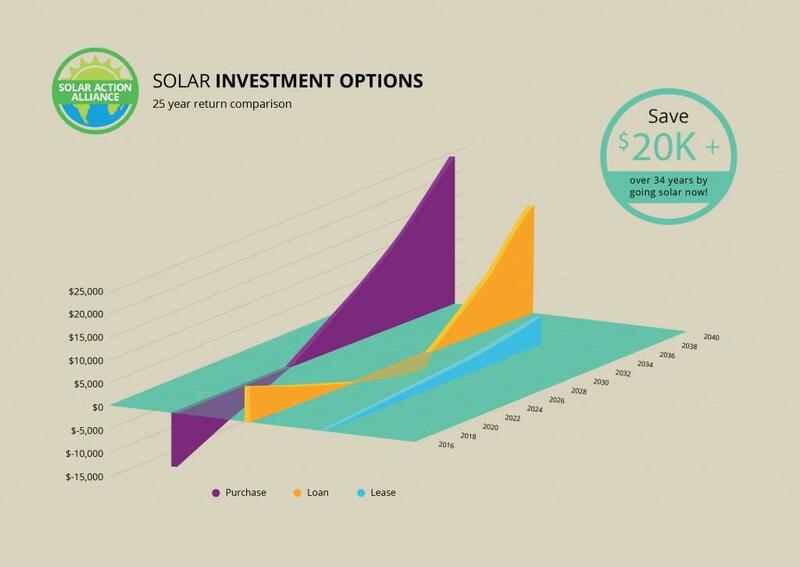 The pattern for the return on investment on a solar power system purchased with loan funds seems a bit odd. But it can easily be understood. 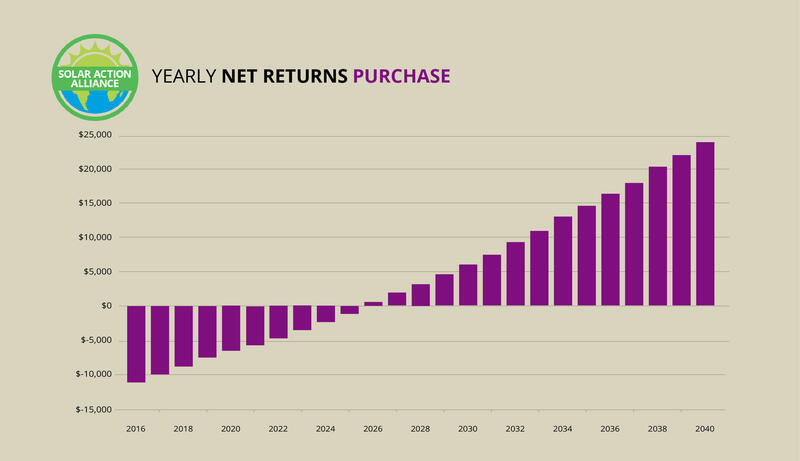 At first, you get a good return but then after a few years, you have to pay more instead of getting any profit. However, during the last term of the solar power system’s life, the profit starts coming in again. 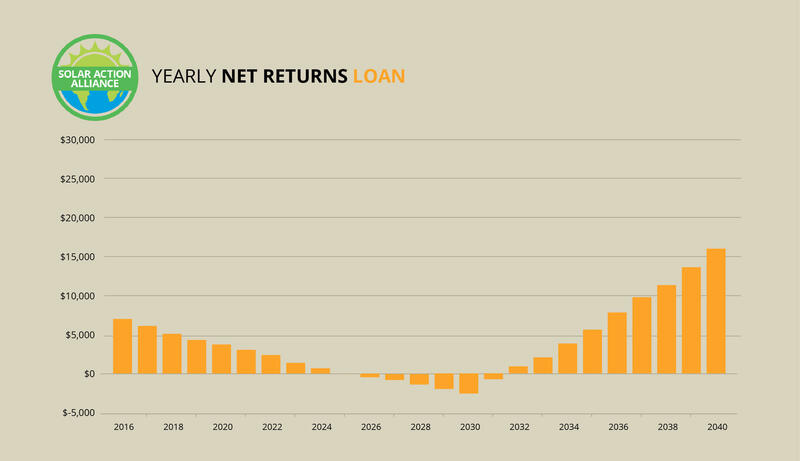 The explanation behind this erratic trend is that tax deductions are applicable on interest on the loan payment but not on the principal mount itself. That is why, once the interest is paid off and you begin to pay the principal loan amount, the profit takes a nosedive and you have to pay more. After paying off the principal amount, your solar power system begins to yield a profit for you again. Overall, it is a good deal if you cannot afford to purchase a solar power system with cash and you also get ownership benefits. 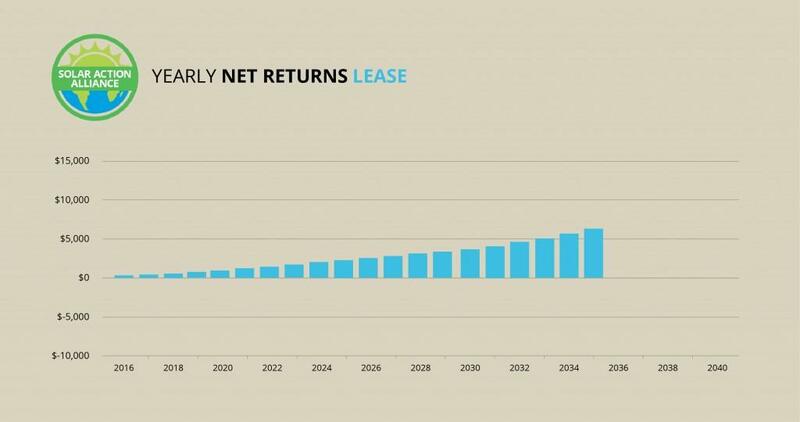 The return on investment is not consistent. 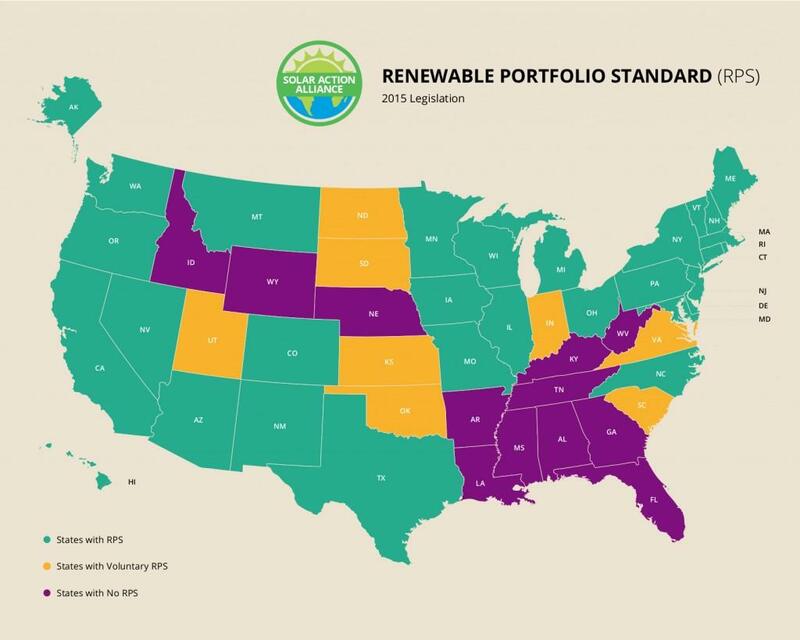 Renewable Portfolio Standard or an RPS is a way of determining that how much committed is a State towards bringing renewable energy resources to its system. New Mexico currently has the 8th best RPS in the country. Energy companies can fulfill their obligations in two ways: they can boost their clean electricity production capacity, or they can encourage citizens to generate clean power for them. The benefit it holds for you is that in Santa Fe, New Mexico, power companies have plenty of incentive to facilitate you in obtaining a solar power system. 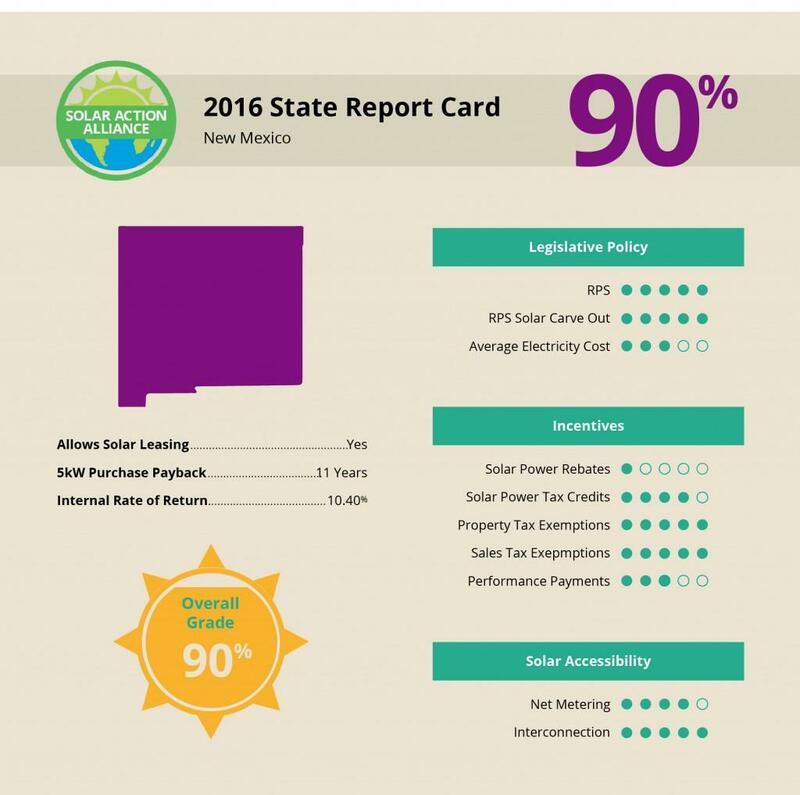 Solar energy is a wise investment to consider if you’re residing in New Mexico. And with its forceful RPS and solar carve-outs, New Mexico is at the forefront in encouraging citizens to consider the advantages of solar energy. Its climate and geographical profile also make it an ideal State for considering investment in solar energy as it receives plenty of sunlight. In addition to its fantastic cost-effectiveness and the value it gives to your establishment, you get to generate your own electricity which you can also sell. You would also be doing Planet Earth a favor by investing in a clean energy source. Solar power is a great investment if you’re living in Santa Fe, New Mexico. Switching to solar energy can be a great way to play your role for the environment and help maintain the natural beauty of this state. Along with redeemed tax credits and exemptions and net metering, you can expect to save big on your power expenditure. You may even yield a considerable profit over the lifespan of the system. But considerations such as lack of rebates, low payments on performance and relatively inexpensive electricity may make the transition to solar power seem less attractive. But you can still earn a profit by selling the extra electricity your solar power system generates. The final decision is yours to make after weighing the pros and cons. Whether you opt for a solar power system depends on your individual financial situation and energy requirements.